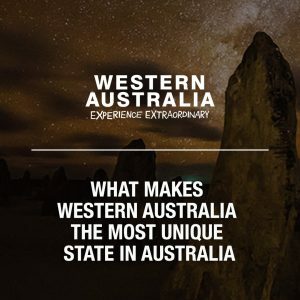 There is no more daunting task for an AFL team travelling to Perth to front either the West Coast Eagles or Fremantle Dockers in front of arguably Australia’s most passionate home fans! However, travelling as a fan is a special experience! In 2019, teams will be travelling to Optus Stadium with a point to prove – in particular Collingwood and Melbourne who are seeking redemption for Grand Final and Preliminary Final losses to the Eagles in 2018, setting up mouth-watering contests in 2019! All matches included in Sportsnet’s range pf 2019 AFL Matches at Optus Stadiumlook to be evenly poised, with all travelling and home teams deemed to be ‘finals contenders’ in 2019. An away win at Optus Stadium is always a statement to the competition! Optus Stadium is the newest addition to Perth’s sporting landscape. With an awesome Colosseum-like aesthetic, it features an impressive capacity of 60,000 (the third-largest in Australia) and is already renowned for the electric atmosphere it generates! In fact, in 2018 Optus Stadium AFL crowds averaged in excess of 45,000 – the highest of any venue in the country! If you’d love to be there LIVE at Optus Stadium for what are shaping-up to be some of the best matches of the 2019 AFL Home & Away Season, then please select the match you’re interested in going to below and then complete the Enquiry Form at the bottom of the package page. One of our friendly travel experts will then be in touch with you shortly to discuss the package and your travel requirements in further detail. Cheers and hopefully you can join us in Perth to witness what’s sure to be some of the most entertaining footy of the 2019 season! 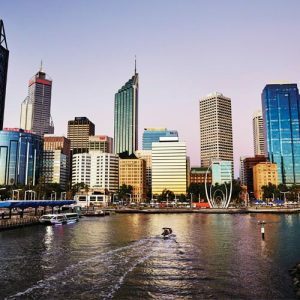 WHAT’S HOT IN PERTH THIS WINTER? Mild weather and plenty of sunshine means there’s no need to hibernate your way through winter in Western Australia. The state capital has plenty of bars and restaurants that come into their own this season, as well as activities that will help you get the most out of Perth’s stunning surrounds. Nothing says winter like sipping a delicious whiskey, and that’s exactly what’s on offer at Whipper Snapper’s onsite bar. At Australia’s first bourbon-style whiskey distillery, situated on the outskirts of the CBD, the team use local ingredients in copper pot stills before ageing the liquid in new American white oak casks. The result is Upshot – a rich, creamy whiskey with flavours of light butterscotch, caramel and nutmeg. And thanks to a collaboration with Perth-based roasters Five Senses Coffee, visitors can also wake up while they warm up with smooth Irish coffees that feature the roasters’ Crompton Road blend. There may not be snow at The Aviary, but there’s plenty of Scandinavian style. Perth’s largest rooftop bar is the setting for pop-up igloos during the winter months, with guests snuggling under blankets as they take in the city’s sparkling skyline. European beers come into their own in winter, and the Swan Valley’s Elmar’s in the Valley is the perfect spot to hold your own impromptu Oktoberfest. Just a 40-minute drive from Perth’s CBD, this microbrewery serves German-style beers in a range of sizes, from small tasters to one-litre steins. There’s suitably hearty food on offer too – think pork schnitzel and bratwurst with plenty of sauerkraut. Or for a hit of the Mediterranean close to the city, graze on sardines, seafood and bread at Brika, a few steps from the CBD in Highgate. Feasting is always on the agenda in Perth and lower temperatures are the perfect excuse for comfort food. That means pasta, which is served by the metre at Solo Pasta in the inner northern suburb of Mount Lawley. The Italian-inspired menu recommends three metres of pasta per dish but, if it’s a carb fest you’re after, then you can always order more. The pick-and-mix menu sees diners selecting their pasta flavour before choosing toppings and sauces. Swap spaghetti for noodles at Northbridge’s Lucky Chan’s Laundry + Noodle Bar, where spicy bowls of soup – like miso buttered chowder ramen featuring clams from Western Australia’s Shark Bay – will keep you fired up. If (fancy) burgers and (craft) beer are more your thing, Victoria Park’s Dutch Trading Co’s gourmet pub food and 26 taps raise the bar when it comes to the city’s craft beer scene. Need shelter from the rain? You’ll find it in the comfy chairs and comforting brunch dishes served at Sayers Sisters in Northbridge. With its communal table and wall of framed photos, it’s like walking into someone’s house – someone who serves everything from omelettes and tagines to waffles and brownies, that is. Photo: The Dutch Trading Co.
Saying goodbye to summer means saying hello to whales, as the ‘humpback highway’ that passes Perth hits gridlock. Watch out for southern right and blue whales making their way along Western Australia’s coast between May and December too. 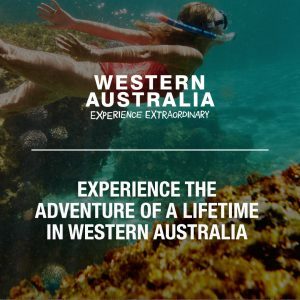 Whale-watching tours run out of Perth and Fremantle or, if you’re DIY-ing, gaze out to sea at midday when the sun is directly overhead for your best chance of spotting these magnificent creatures. West Coast Drive, running alongside the sparkling Indian Ocean, offers another opportunity to get closer to nature just a short distance from the city. Take advantage of the cooler weather and swap four wheels for two feet to explore Perth’s scenic trails. 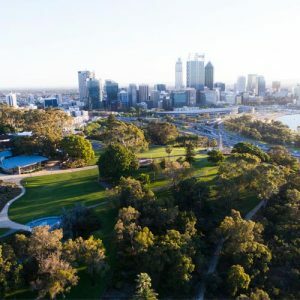 The 2.5km Law Walk sees winter ramblers wander through the city’s stunning Kings Park, while the 9km Dell to South Ledge trail, a slightly longer walk in the Perth Hills, takes in the rugged beauty of Beelu National Park. En route back, call in at Core Cider House for a seasonal pressed cider. 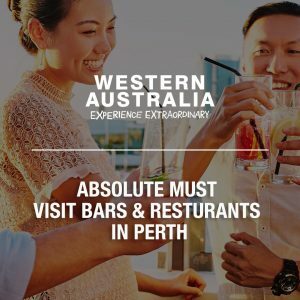 A winter visit doesn’t mean missing out – you’ll still experience the very best Perth has to offer. Pack a jumper – just in case – and prepare for a warm welcome. With a stylish small-bar scene, wine and foodie day-trip destinations on tap and fabulously arty Fremantle just downstream, a winter weekend in Perth delivers style, substance and sociability. Banish the winter chills in some secret city boltholes, then explore the Perth Hills, Swan Valley and atmospheric Freo. 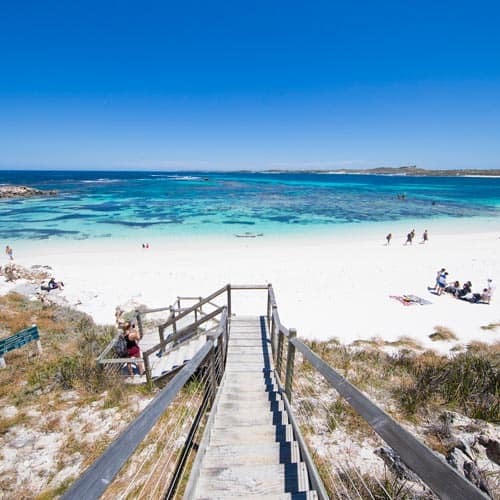 Winter in Perth is divine, with mild sunny days and the noted absence of the Fremantle Doctor – the onshore sea breeze which can limit glassy ocean conditions to the morning and late evening in summer. Discover snug city hideaways, the atmospheric Perth Hills and the foodie-focused Swan Valley, then watch the winter sun set over Fremantle. On your first night in Perth, venture into downtown dusk to unearth some secret bars and urbane nocturnal haunts. Down a hidey-hole off St Georges Terrace, Lalla Rookh effortlessly bridges the gap between wine bar and tapas house. Get social with the after-work locals and prime yourself with some Fremantle sardines and chilli olives, then keep the mood subterranean at Halford Bar, which sits inside a former safe below Hay St. Unlock an expertly crafted whisky sour and act moody at the bar – but don’t you dare dress down. Put a little more fuel in the tank at one of the many eateries in the Print Hall before finishing the night at Helvetica, another of Perth’s sassy cocktail bars. You’ll find it through a secret doorway off Howard Street. As much a foodie destination as it is a wine region, the Swan Valley – just 30 minutes northeast of downtown Perth – makes a compact daytrip. Expect artisan food producers, craft-beer breweries and myriad cellar doors. They’ve been growing grapes here since 1829, so there’s been plenty of time to master the art! Sidestep the tour-bus hordes and discover some local faves. RiverBank Estate Winery is a small producer, but is arguably one of the valley’s best, bottling up a dozen different reds and half as many whites. Sip some malbec at the cellar door or book a table at the upbeat bistro (try the spiced kangaroo fillet). Fancy some post-lunch fromage? Duck into the Cheese Barrel for a knockout cheese board: soft, hard, blue and fabulously aromatic. Into craft beer? There are half-a-dozen local brewers here to keep you fizzed. Feral Brewing Company does fruity IPAs and smoky porters, but their straight-up Perth Local lager is unbeatable, even on a cold valley afternoon. Mash Brewing has an Americana vibe, plating up dude food (mac ‘n’ cheese, pork-belly bites) to accompany their punchy New England IPA. On the way back to Perth, stop into WA’s oldest pub for dinner by an open fire. The Rose & Crown in historic Guildford has been pouring beers since 1841. Photo: The Cheese Barrel, Swan Valley. Despite being just 45 minutes east of Perth, the Perth Hills deliver a distinctly different climate to the rest of Perth. It’s chilly here! But that chilliness means a variety-packed wine region, with plenty of cosy cellar doors for sitting and sipping. The Bickley Valley, near Kalamunda, deserves a good half-day: there are a dozen boutique wineries here, plus some excellent cider houses. Make a beeline for the atmospheric Vineyard Kitchen at Brookside Vineyard for lunch. In winter, the namesake brook babbles, and the house cabernet will warm you from the inside out. Nearby CORE Cider is perfect for a misty winter orchard walk, a truffle-oil risotto in the bistro and a few pints of Peace CORE sparkling pear cider. Fremantle, with its precious cache of Victorian port buildings, is Perth’s charismatic harbour town. Container ships come and go, cargo cranes angle skywards, and sailors and students fill the local pubs. Freo has got soul – especially on dusky mid-winter afternoons when the sea-salty atmosphere is downright poetic. Don’t miss the disquieting Fremantle Prison, a fully functional lock-up until 1991. The ghosts here can seem a little too real in the winter shadows. Not far away is the equally noir WA Shipwrecks Museum, which recounts the grim story of the wreck of the Batavia on the WA coast in 1629. Need a steadying ale after these murderous tales? Head for Little Creatures on Fishing Boat Harbour. Despite the harbourside chill, the locals will be out on the deck – join them and toast the end of your Perth weekend with a winter stout and a superb seafood pizza. Photo: Fishing Boat Harbour, Fremantle. 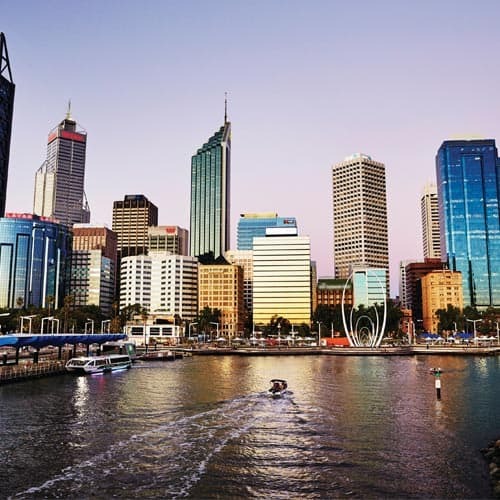 There’s never a bad time to visit Australia’s sunniest capital city, Perth! 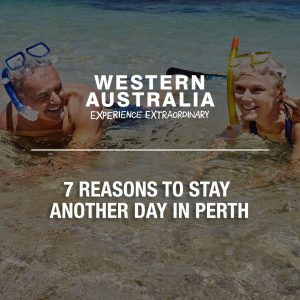 With all the essentials for an amazing holiday, you’ll find endless beaches and Indian Ocean sunsets, an array of new hotels, exciting new dining, shopping and cultural precincts, a lively emerging cultural scene, one of the world’s largest inner city parks, unforgettable marine adventures, and Western Australia’s oldest wine region – all within a half hour journey from the CBD. 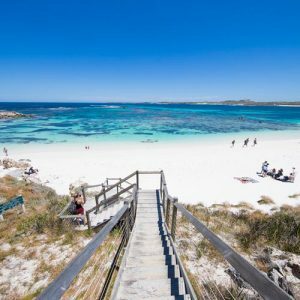 For nature-lovers, look no further than the pristine shores of Rottnest Island, located an easy 30-minute ferry ride from Perth’s coastline. 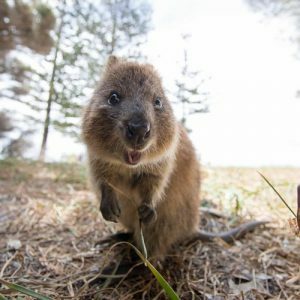 Spend the day cycling around the island’s 63 beaches and 20 bays and follow in the footsteps of Roger Federer, Margot Robbie and Hugh Jackman and capture your own #quokkaselfie with island’s resident marsupial. The vibrant port city of Fremantle is the place to explore buzzing markets, lively bars and casual street cafes, while food and wine enthusiasts can tempt the tastebuds in the Swan Valley wine region, located a 25-minute drive from the CBD. Plan your Perth escape now at www.westernaustralia.com and www.justanotherdayinWA.com.